Miko is an arts educator and storyteller. She is currently on the National Advisory Committee of Teaching Artists Guild and co-produces and hosts ApexExpress on Pacifica Radio Network. She is also an Arts Now Leader for the California Arts Education Alliance. She was a member of the Advisory Panel for the National Endowment for the Arts Professional Development for Arts Education. 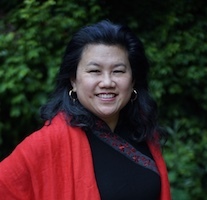 She previously served as Director of Art and Public Education at East Bay Center for the Performing Arts, where she designed and directed Learning Without Borders, a California Arts Council Demonstration Model and recipient of three consecutive U.S. Department of Education awards. Miko has presented on arts education at conferences around the country and has written a number of academically linked expressive arts and theatre curricula, currently being replicated at sites throughout the Bay Area. Miko’s extensive background in theatre, as a performer, choreographer and director, includes shows at American Conservatory Theatre, New York’s Public Theatre, Mark Taper Forum, Seattle Repertory Theatre and Berkeley Repertory Theatre. Morgan worked in fine art sales for over a decade. Prior to her work as a private Art Consultant, she was the Senior Gallery Associate at the Paul Thiebaud Gallery in San Francisco. She holds a degree in Art History and Human Communications from the University of Denver. 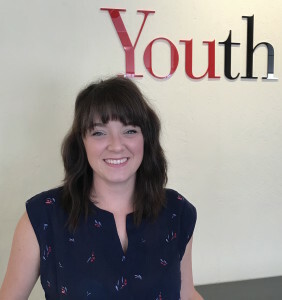 Prior to moving into a development role, Morgan was the Program Director at Youth in Arts. 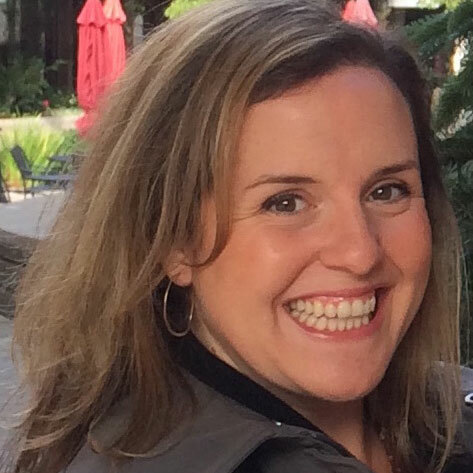 When not working she can be found hiking the hills of Marin with her husband, two young sons, and Shepard-mix, Coach. At Youth in Arts Morgan oversees fundraising, and manages our in-house gallery. Kelsey is an educator, community organizer, and arts advocate. Kelsey has served as a community gallery manager, museum educator, and volunteer teacher for learners of all ages, backgrounds, and beliefs. She most recently served as Curator of Education at the Palmer Museum where she developed collection based curriculum. Kelsey has her Masters in arts education from Penn State where she developed, tested and disseminated STEAM based curriculum. She was the Coordinator of Community Engagement at the Museum of Contemporary Art Santa Barbara. During her internship at the De Young Museum she worked with students who had limited access to the arts. At Youth in Arts Kelsey directs and oversees all residencies. Suzanne has exhibited her fine art at ArtWorks Downtown, Youth in Arts, O’Hanlon Center for the Arts, Albany Center and Thornton Thomasetti. A visual artist with extensive teaching experience, Suzanne holds a degree in Art History from Wellesley College and has worked as a fine art gallery curator and an appraiser of fine prints for Butterfield and Butterfield. Suzanne is the founder of Purple Crayon Art Studio, a popular San Francisco art studio for children and families. Having created and directed Purple Crayon for over a decade, Suzanne sold the business in 2007. 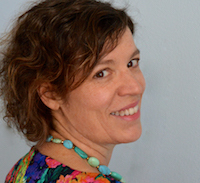 Suzanne also founded Give A Jump Start that uses art as a tool for microfinance with women and children in Zambia. Suzanne provides professional development workshops for educators in arts integration techniques and is the creator of the Walker Rezaian Creative HeARTS program, an early childhood replicable visual arts curriculum. At Youth in Arts Suzanne focuses on the model programs. Cathy Bowman is an award-winning cartoonist and writer. Her paintings have been shown at the O’Hanlon Center for the Arts, Youth In Arts, the Sun Gallery and the Marin County Fair. Cathy is an experienced teacher who enjoys helping children tell their stories in words and pictures. She has conducted workshops for the Charles Schulz Museum, the Girl Scouts, the San Anselmo Recreation Department and others. 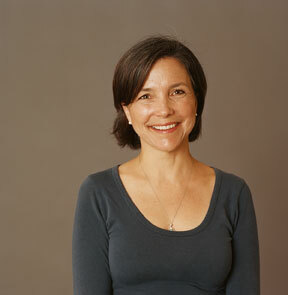 Prior to focusing on education she worked as a reporter for the San Francisco Chronicle. Cathy is a member of the Society of Children’s Book Writers and Illustrators and creator of the mini-comic “The Old Cat and the Sea.” She holds a B.A. in Political Science from U.C. Santa Barbara. A lifelong traveler, she served as a Peace Corps volunteer in Niger. Austin is a veteran member of The House Jacks with whom he has produced 10 full-length albums and completed multiple world tours. For the past 21 years, Austin has directed ‘Til Dawn, Youth in Arts’ award-winning teen a cappella group that empowers youth to find their voices in many ways. Inspired by his youth work, the Apple Store in San Francisco brought him in to do an Apple Music Lab on Finding Your Creative Voice and Songwriting Basics on the iPad. 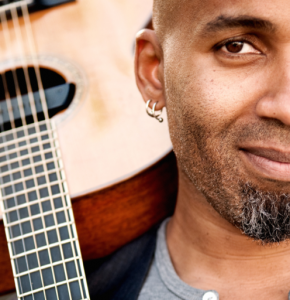 He is an award-winning singer/­songwriter with 4 CD’s and 2 EP’s to his name. His music is soulful and raucous, tender and comic. Austin’s music has been featured on “The Sing Off”, “Road Rules”, an Australian ad campaign and three feature film soundtracks. He won a 2018 Positive Music Award for co-writing the eponymous theme song to “Thrive”, a documentary with over 90 million views, worldwide. He’s appeared in Rolling Stone and has performed with icons such as Bonnie Raitt and up and coming artists like Jem, Vienna Teng, Rachael Yamagata and Amos Lee. Austin is an organizer and facilitator for YES! and a former board member for Rainforest Action Network and the Freight & Salvage. He is one of the co-founders of the Black Diaspora Jam, and the Arts for Social Change Jams in the US, Turkey, and India. Learn more about job openings and internship opportunities here.